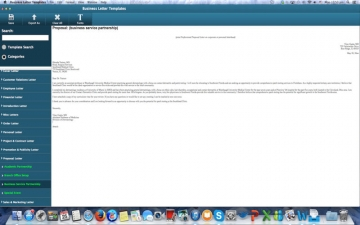 Business Letter Templates | Mac App Storeのアプリ検索・ランキング BuzzMac! In the 21st century, email may be the quick and easy way to relay daily business messages, but the printed business letter is still the preferred way to convey important information. Disclaimer: The contents of this app are designed for reference purpose only and does not constitute any form of business advice. The publisher of this app will not be liable for any loss or damage arising directly or indirectly from the use of this app.